In this podcast interview you’ll meet Mario Alejandro Torres, the new Music Director and Conductor for the Bainbridge Symphony Orchestra. Born & raised in San Pedro Sula, Honduras, Mario is a conductor, teacher, and student who also performs on the viola and violin. He currently lives in Seattle, where he is a doctoral candidate at the University of Washington, pursuing a degree in orchestral conducting. 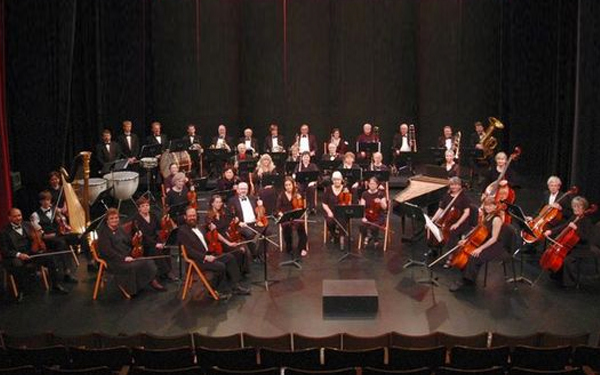 Listen here as Mario tells Arts and Artists producer John Fossett about his early years as a young musician in Honduras and his hopes for the Bainbridge Symphony Orchestra. In addition to his new role at the BSO, Mr. Torres is the Music Director of Poulsbo Community Orchestra and Assistant Conductor of the University of Washington Symphony Orchestra. He has played with and conducted orchestras in Honduras, Suriname, Costa Rica and Haiti, and his wife Jenny is an active participant in the Seattle Music Partners Program and the Special Events department of the Seattle Symphony.